Overall objective of the project is to contribute to a more consistent and efficient assistance in law enforcement capacity building towards third countries, which will be achieved through harmonization of a training package for Law Enforcement Organisations and with the development of a common, law enforcement capacity building culture. 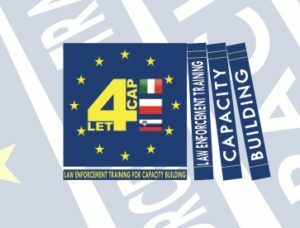 Project is coordinated by Carabinieri – Italy and consists of the Centre for European Perspective (CEP), Polish National Police HQs (POLICJA) – Poland, Scuola Superiore Sant’Anna (SSSA) – Italy and Studiare Sviluppo (STSV) – Italy. • Providing a solid knowledge base on European good practices and values. • Other dissemination & outreach activities. CEP will elaborate an evaluation plan, tailored to the goals and context of this project, providing guidelines for the evaluation of cooperation, project products, efficacy and impact on target groups, end beneficiaries and stakeholders, and define quality criteria for the success of the project.